"Metallic Hydrogen" - The new wonder material or a false positive? On January 26, Harvard scientists Ranga P. Dias and Isaac F. Silvera published a paper in Science Mag that described the creation of a new wonder material - 'Metallic Hydrogen'. You read that right - it's the hydrogen turned into a metal using modern alchemy and a combination of sophisticated engineering and technology. Hydrogen is the lightest element in the periodic table with atomic number of 1 and there were several attempts made in the history of mankind to turn it into metal. 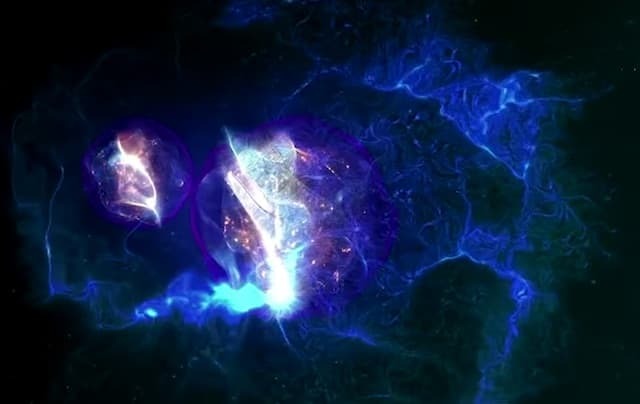 What's the big deal with Metallic Hydrogen, you may ask. In theory, the metallic hydrogen could be the next big thing for mankind after Graphene. It has the potential to take our current electronics and computers at least 100 years ahead in time. For once, metallic hydrogen is superconducting at room temperature. Prof. Silvera says that this would allow us to transfer electricity across the planet without any loss. Also, it takes huge amount of energy to form the metallic hydrogen and when this metallic hydrogen is converted back into molecular hydrogen, all of it is released. This would allow creation of fuel for rockets that is four times more powerful than our existing fuels. However, 'The Independent' later reported that there are several experts who have doubted the paper. One of the experts informed that the paper isn't convincing at all. Moreover, the scientists duo have not yet shown the metallic hydrogen to the world because it's still in the 'jaws of the anvil' and removing it might make it disappear. Some of the scientists doubted the amount of pressure that the paper claims was developed to form the metallic hydrogen. No detailed measurements were taken throughout the process; which makes it harder to believe that such pressures were actually developed. Some of the experts think that the shiny material could be aluminum oxide from the diamonds. Do check out the video released by Harvard University and let us know your thoughts. At NAL Bangalore we set up a high pressure lab, where some strange things were seen at near 100 kilobars. It was known that Hydrogen could behave like a metal at very much higher pressures. We were nowhere in sight of such pressures. The problem was that some of these transformations are valid only with the pressure on. The moment the pressure is removed so is the change. What I heard or read is -> since diamond is also formed at high pressure, and it is still the same after the pressure is removed. So now they are experimenting by removing the pressure slowly to validate if the hydrogen still remain as metal or not. That is how diamond is formed naturally also. Actually diamond anvils are used to generate the high pressures in experiments. 10 megabars is 10000 tons/sq.cm.! Not only the hydrogen needs to be confined, but huge tonnage loads have to be developed. That Hydrogen has a metastable state is not proven. As expected, the metallic hydrogen has disappeared. The team said that the sample has disappeared. But the team isn't sure about it either. The sample was too small - about a fifth of the diameter of human hair and it could still exist and missing; thinks the team. My concern was about the meta stable state earlier claimed. That hydrogen can be metallic under extreme pressures is known. The issue is its remaining so after the pressure is released. It might also mean that metallic hydrogen is unstable and turns into a gas when it is at room temperature and normal pressure, in what would be a major setback for any hopes of a new wonder material.